Auto-Tune, by way of Brian Eno: Montreal’s Islands (opening for the Psychedelic Furs and the Happy Mondays at House of Blues on October 10) are taking flak for the track “Heartbeat,” off their brand-new album, Vapours, for the heavily-Auto-Tuned vocals. 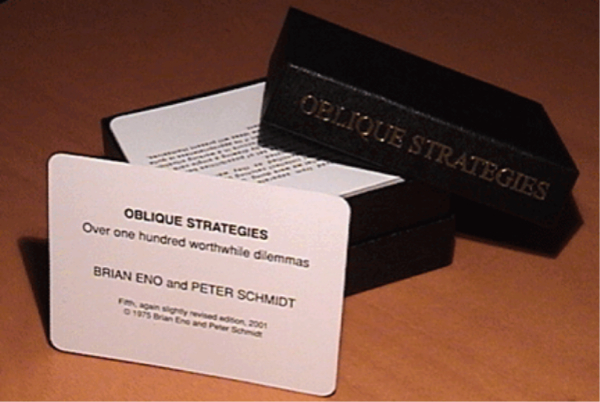 In this interview over at Street Carnage, Nicholas Thorburn defends their decision to use it, inspired by their use of Brian Eno’s Oblique Strategies in the studio. Indie music stars on the big screen. Carrie Brownstein of Sleater-Kinney and James Mercer of the Shins star in upcoming release Some Days are Better Than Others. You can watch the trailer here. No word on whether they’ll be contributing to the soundtrack (via Line Out). 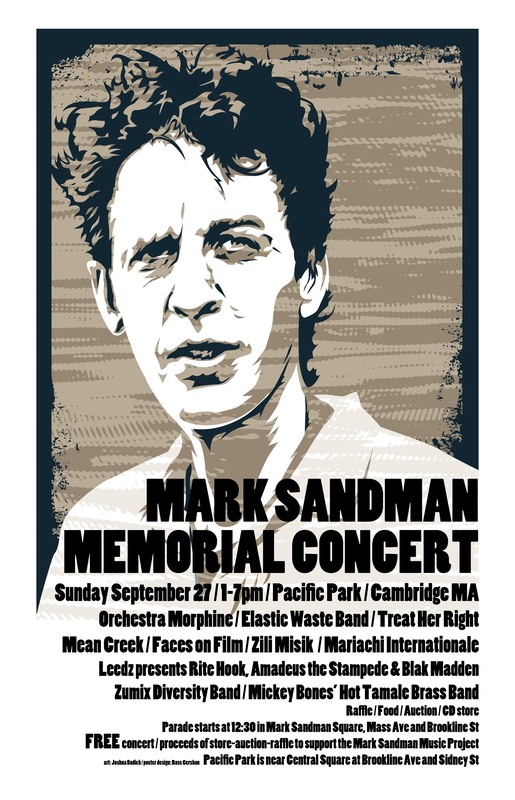 This Sunday is the Mark Sandman Memorial Concert, commemorating the 10th anniversary of the passing of the legendary Morphine frontman. The event takes place at Pacific Park in Cambridge from 1 to 7 pm. Performers include Orchestra Morphine, Elastic Waste Band, Faces on Film and more. There’ll be opportunities to play Harmonix‘s new Beatles Rock Band, as well as an on-site raffle, charity auction, and more. The concert is part of the larger Mark Sandman Music Project, which honors Sandman’s life by supporting music opportunities for youth. Download MP3s from the Mark Sandman Music Project site for a PWYC donation. UPDATE: Looks like rain. The concert has been relocated to the Middle East Downstairs, from 11:30 am to 5;30 pm. 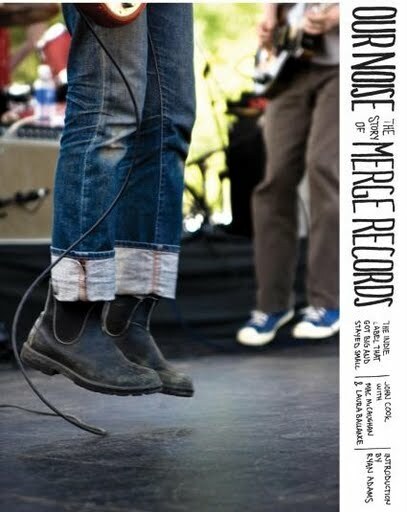 Author John Cook has assembled a history of Merge Records‘ two decades, from the early days of hand-screening record sleeves in bedrooms to its current status as home to mega-indie bands like Spoon and Arcade Fire. The book is definitely all about the primary sources and the historical record—while Cook’s writing provides excellent context, much of the text is in the form of direct quotes with artists, colleagues, and friends of the label. The book also highlights the unusually close links between the label and its artists by interleaving chapters on the bands, particularly Superchunk, of course (it’s the band of Merge founders Mac McCaughan and Laura Ballance). The picture that emerges from the text and interviews is that Merge did everything right (which is why they’re around get books written about them, admittedly). To begin with, it’s a label that was started by musicians, for musicians. But even artist-run labels die off like fruit flies, except that fruit flies are unlikely to disappear with any of your money. Merge’s no-contract, we’re-all-friends philosophy was coupled with an unstinting focus on the bottom line (the individuals quoted in Our Noise almost unanimously attribute this to Ballance’s influence). Despite that, Merge took a certain number of risks—most notably, the release of Magnetic Fields’ magnum opus, 69 Love Songs, a three-CD box set with an expensive insert booklet. That a massive collection of love songs, in a comprehensive range of musical styles, could sell more than 150,000 copies is wildly improbable—except for one minor detail, which is that the music is brilliant. Finally, Merge benefited (and is continuing to benefit) enormously from the way the world changed around them. The mainstreaming of indie music has helped the label, of course. But more significantly, the rise of digital distribution has flattened the landscape, allowing Merge to compete effectively with the majors, not least because the big players can no longer offer anything useful that Merge can’t, since the value of promotional tools like payola-greased radio play and premium placement in record stores has plummeted. Appropriately enough, given Merge’s philosophy, the book is inexpensive (the first edition is a sub-$20 paperback) but beautifully designed and crafted, from the matte-finish cover to flyleaves illustrated with a grid of Merge album covers. It’s also lavishly illustrated with ephemera—photographs, notes, postcards and more—culled from the closets of the interviewees. Read an excerpt here. Check out the Our Noise website. And then buy it. Want to win a free copy? E-mail us or DM debcha before 5 pm Eastern on Monday, September 28th. We’ll pick a respondent at random to receive a free copy from Algonquin Books (and extra-special thanks to them for being willing to mail it anywhere). Jim Anderson, the sound engineer at Seattle’s legendary (and recently re-opened) live music venue The Crocodile, has donated five years worth of live show recordings (2002-2007) to the University of Washington’s Ethnomusicology Archives – nearly 3000 hours of music. Artists include z=z faves the Dresden Dolls, the Mountain Goats, the National, and oodles more – you can take a look at the huge list and find your own favorites. The good news? They’re all available to the public. The catch: In order to obviate licensing issues and piracy concerns, you have to go in person, to the ‘listening stations’ at UW’s Odegaard Library. I think it’d be great if artists could agree to put their recordings in the public domain or otherwise agree to let them out on the Internet – I sincerely hope the University is looking into the possibility. Since I spent most of the last year on the University of Washington campus, I’m kicking myself that I only found out about this collection after I returned to the East Coast. On the other hand, it’s probably just as well – I can’t imagine that spending all my time in the library, headphones on, would have really helped my productivity. Image: Media Center by Flickr user University of Washington Libraries, reposted here under its Creative Commons license. 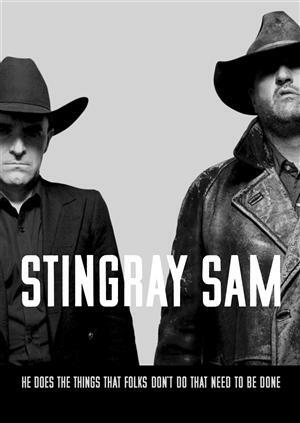 Canadian music wiki. Journalism student and CBC Radio 3 intern Amanda Ash is working on putting together a Wikipedia-style database of Canadian music as her thesis project, tapping into CanCon-loving music fans (whence the awesome illo, above). She’s soliciting ideas – go help her out. Another fun online musical toy. In the same vein as the online Tenori-On, there’s a web-based musical instrument, Nudge, with a range of sounds and tempos. If you come up with something you like, you can embed it in your blog or share it with your friends. Warning: making pretty melodies is quite the timesuck. [via Indie Music Tech]. There and back again. Over at the New Yorker, Sasha Frere-Jones has a thoughtful profile of Trent Reznor, tracing his journey from indie, to major label, to indie again. What does filesharing mean for composers? Lyricist and composer Björn Ulvaeus (sound familiar?) argues that musicians can ‘sing for their supper,’ but songwriters can’t, and they might end up the big losers with declining music sales. This probably explain why composers and songwriters are trying to get a cut from 30-second song previews on iTunes. You are currently browsing the zed equals zee blog archives for September, 2009.